Located in the private community of The Peninsula on Ocean Isle Beach. Five bedrooms, three baths. Comfortable and inviting living spaces, approximately 1800 sq.ft. Fully equipped kitchen with dishwasher, microwave, granite counter tops and stainless steel appliances. Spacious living with vaulted ceiling. Lots of electronic entertainment including SonoHome Theater system with surround sound; 2 HDTVs, 4 TVs, 2 DVD players, Wireless Internet Access, iPod docking station with FM radio. 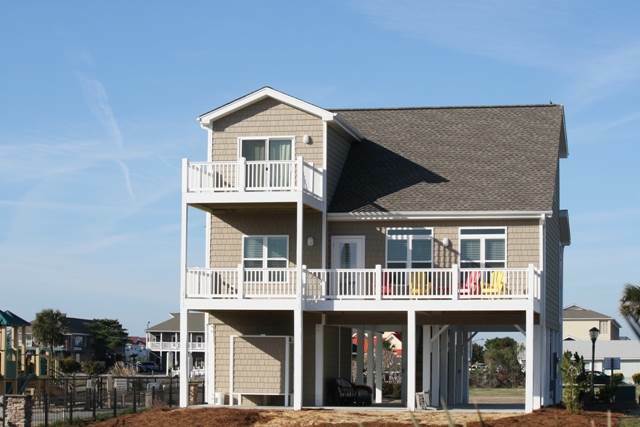 Outside, enjoy the covered porches and sundeck, outdoor dining, enclosed outside shower, charcoal grill, tidal dock for fishing, crabbing, and kayaking. Access to the private community POOL. Easy walk to restaurants, ice cream, putt putt, and pier. 2 blocks to the ocean, non-smoking. Sleeps 10. Bedding: King, Queen, Queen, Queen, 2 Singles.